The Freedom Historical Society has received a grant from the New Hampshire Humanities Council and is pleased to host Jere Daniell who will present a program on New Hampshire Towns and the Civil War. This lecture focuses on the home front, not the fighting. Professor Daniell will describe both formal town actions and non-governmental community responses in New Hampshire during the war. Specific topics include rewarding men who enlisted, helping citizens avoid military service, ostracizing war opponents, organizing aid societies, celebrating military victories and post war memorialization. Jere Daniell is a Professor Emeritus at Dartmouth College and has published extensively on New Hampshire politics, colonial history and the New England frontier. Please join us for this interesting program on Wednesday, October 17 at 7PM at the Freedom Town Hall on Elm Street in Freedom. This program is open to the public. Refreshments will be served. Preceding the program, members of the Freedom Historical Society are invited to attend the annual meeting with election of officers and Pot Luck Supper. This will start at 5:30PM. Please bring a dish to share and join us for a delicious meal and an enjoyable evening. For additional information please call (603) 301-1107. Second Annual FHS Calendar Photo Contest! The Freedom Historical Society is pleased to announce that, due to the tremendous success of our first calendar photo contest, we are offering a second contest to select photographs for use in our 2014 Calendar. Click here for more information. The Freedom Historical Society has received a grant from the New Hampshire Humanities Council and is pleased to host David Stewart-Smith who will present a program on 17th and 18th Century Native American History in New Hampshire. 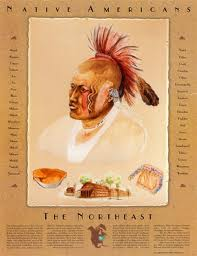 The Pennacook Indians of the Merrimack Valley were the largest and most powerful coalition of native people on the northern New England frontier during the 17th and 18th centuries. They, along with their Abenaki allies from Maine and Canada, held off Europeans for almost 90 years during a succession of “Indian Wars”, culminating in the end of the French and Indian Wars in 1761. During this time, Indians and colonists exchanged and encountered each other’s cultures, religions, trade goods and even kinship. David Stewart-Smith has a doctoral degree and was a post doctoral fellow at the Peabody Essex Museum Library and a professor of history and cultural studies at Vermont’s Norwich University for 15 years. He currently serves as the historian for the New Hampshire Intertribal Council. He is himself of Indian descent and has spent more than 30 years researching New Hampshire Indians. Please join us for this interesting program on Wednesday, September 19th at 7PM at the Freedom Town Hall on Elm Street in Freedom. This presentation is open to the public. Refreshments will be served after the program. For additional information please call (603) 301-1107. Win an Intimate 4-Course Dinner for Up to Four People at the Historic Allard House! The Freedom Historical Society is excited to announce a fundraiser dinner raffle. On Saturday September 22nd, the winner and three guests will be picked up in Freedom and transported through the village to the Historic Allard House in a classic, chauffer driven automobile where the Maitre d’ will meet them curbside. Our guests will then enjoy a gracious dining experience in the charming turn of the 20th century appointed home to the Historical Society. The winners will be served and enjoy a delectable four course dinner prepared by some of Freedom’s finest cooks using only the freshest ingredients. For our guests, musical entertainment will be provided and following dinner they will be treated to a personal tour of the Allard House and Work’s Barn Museum. This is an event that you won’t want to miss. Tickets are $5 each or 6 for $25 and can be purchased at the Freedom Village Store, from any Historical Society Board member or by calling 539-5799. 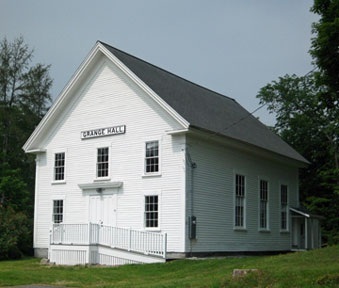 The Freedom Historical Society has received a grant from the New Hampshire Humanities Council and is pleased to host Steve Taylor who will present a program on the New Hampshire Grange Movement. 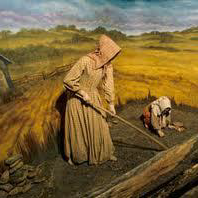 Much of rural New Hampshire in the late 19th century was locked in a downward spiral of population decline, abandonment of farms, reversion of cleared land to forest and shrinking of villages, all of which contributed to widespread feelings of melancholy and loss among its residents. The development of the Grange movement in the state in the 1880s and 1890s was aided greatly by people’s hunger for a new vehicle to draw communities together for social interaction, entertainment and mutual support. As the Grange rapidly established chapters throughout the state its influence in public affairs expanded greatly as well, such that by 1910 it had become a major force in policymaking in Concord, while many of its members had risen to important leadership positions, including that of Governor. The Grange brought an agenda that aligned closely with the Progressive wave that swept New Hampshire politics in the early 20th century and many of the initiatives it advocated became law, placing the state at the leading edge in a number of areas of reform. This lecture will address the rise, the triumphs and the eventual decline of the Grange movement in New Hampshire. Steve Taylor, a New Hampshire Humanities Council scholar, operates a dairy and maple farm. He served as New Hampshire’s Commissioner of Agriculture and is a lifelong student of the state’s rural culture. Please join us for this interesting program on Wednesday, August 15th at 7 PM at the Town Hall on Elm Street in Freedom. The program is open to the public. Refreshments will be served following the program. For additional information please call (603) 301-1107. The Freedom Historical Society is pleased to host John Porter, a UNH Cooperative Extension professor, who will present a slide program on the different styles of barns in New Hampshire. Mr. Porter is a state-wide dairy specialist who works with dairy farmers. One of his many program specialty areas is barn design and layout. In 2001 Mr. Porter co-authored the book “Preserving Old Barns”. Old barns are tangible evidence of our rural past and the evolution of agriculture in New Hampshire. Along with various outbuildings, barns were essential parts of the farm unit in meeting the needs of rural life. Barns changed from the early English style, to Yankee style, to gambrel and then pole barns to accommodate the changing agriculture. This presentation will be a chronological walk through time, with photo illustrations of barns around the state that are examples of these eras of agricultural history. He will also speak about restoration of these structures. Please join us for this interesting program on Wednesday, July 18 at 7 PM in the Town Hall on Elm Street in Freedom. This presentation is open to the public. Refreshments will be served following the program. For additional information please call (603) 301-1107. FHS will be unveiling its 2013 “Barns of Freedom” calendar and announcing the winners of the Freedom Barns photo contest at a reception on June 29 at 7 PM at the Freedom Town Hall. Photographers submitted photos of Freedom Barns and the top 13 photos will be featured in the calendar. Please join the photographers, their families and friends for light refreshments and a chance to view the photos which will be displayed, as well as a slide show of all the great entries. The new calendars will be available for sale that evening for only $12. New Hampshire’s Chief Forest Ranger, Mr. Robert Boyd, will make a presentation about the great “Fire of’47” that consumed thousands of acres of forest lands in Maine and New Hampshire as well as substantial personal property during one week in October 1947. 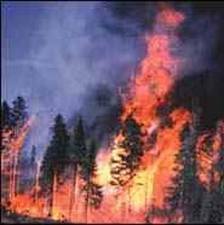 While this fire was devastating at the time, it also led to changes in the local forest ecology that we see today. He will discuss what the weather and fuel conditions were like then; how fire behaved then and now in the pine barrens area; and how the forest responds to fire. He will also discuss the pine-barrens fire in 1957 that burned from Madison Lumber Mill (New England Box Company then) to Camp Huckins. He will end the presentation discussing the “Firewise” program (www.firewise.org) and what people can do to protect their homes from wildfire risks. Mr. Boyd is a State Forest Ranger with the Division of Forests & Lands. His district includes all of Carroll County. He is also the “Firewise” Communities coordinator and liaison for New Hampshire. Mr. Boyd resides in Madison. Please join us to learn about this historic event (or share your stories if you actually experienced these fires yourself) on Wednesday, June 20th at 7 PM in the Town Hall on Elm Street in Freedom. This presentation is open to the public. Refreshments will be served after the program. For additional information, please call (603) 301-1107. Freedom Elementary Visit to FHS on June 11; click here to see some pictures of the event! 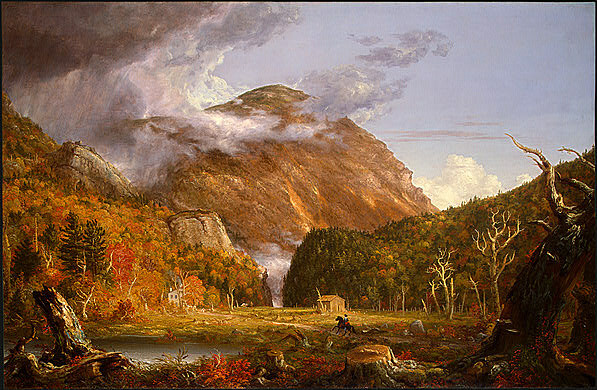 The Freedom Historical Society is pleased to host local White Mountain Art historian Bob Cottrell who will present a program focusing on the art of the Mount Washington area, following a route into the White Mountains used by hundreds of artists over the past two centuries from Thomas Cole to Albert Bierstadt and Benjamin Champney. The program will look at the history and nature behind White Mountain Art including geological formations, waterfalls, flora and fauna that attracted the artists, the tools and techniques they used in their paintings, drawings and prints, as well as the history they captured in their work such as farm and village life. Bob will give a brief history of some of the paintings, telling about the stories and legends associated with the scenes that the artists painted. The program will include informal displays of historic art tools and examples of different artistic techniques. Bob Cottrell was the founding Director of the Remick Country Doctor Museum and Farm in Tamworth, NH. He is currently the Director of the Henney History Room at the Conway Public Library. He lives in Tamworth. Please join us for this interesting program on Wednesday, May 16th at 7 PM in the Town Hall on Elm Street in Freedom. This presentation is open to the public. Refreshments will be served after the program. For additional information, please call (603) 301-1107. 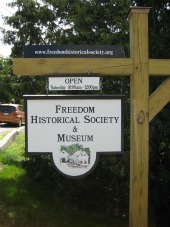 Announcement: This year’s clean-up days at the Freedom Historical Society are on Friday and Saturday, May 18 and 19. All helpers welcome and greatly appreciated! ANNOUNCING THE 2012 FHS PROGRAM SCHEDULE! Follow the artists’ route into the White Mountains. Wednesday, May 16, 7 PM, Freedom Town Hall, refreshments served. Learn how this historic and devastating fire affected our area and state. Wednesday, June 20, 7 PM, Freedom Town Hall, refreshments served. 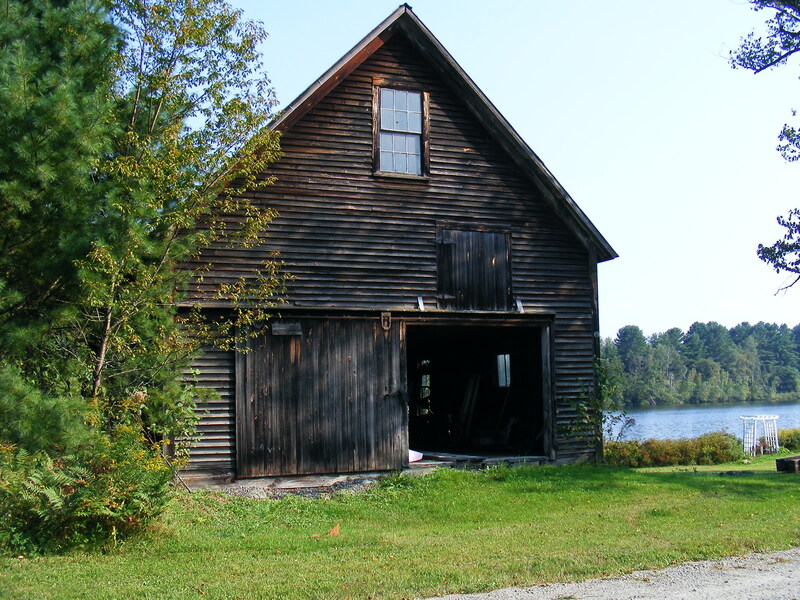 View many examples of barns seen in the Granite State through the years. Wednesday, July 18, 7 PM, Freedom Town Hall, refreshments served. The rise, the triumphs and the eventual decline of the Grange Movement in N.H.
Wednesday, August 15, 7 PM, Freedom Town Hall, refreshments served. New Hampshire Indians and their interactions with the colonists. A focus on town actions and community responses in New Hampshire during the war. Wednesday, October 17, 7 PM, Freedom Town Hall. Pot Luck Supper at 6 PM. 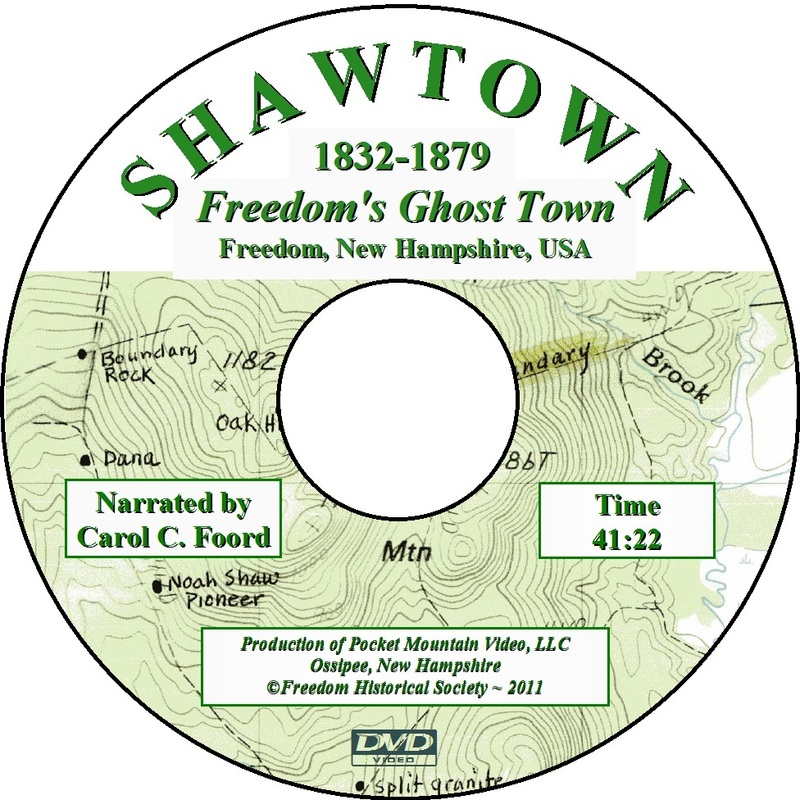 The Freedom Historical Society has produced a wonderful new DVD, narrated by Carol Foord, that chronicles the history of the Shawtown neighborhood which disappeared right after the Civil War. With terrific videography by Joe Bradley, Carol is able to weave the story of these pioneer Freedom residents based on her exhaustive research and documentation of their cellar holes. This first Freedom History Series DVD is one that will be a great addition to your library. The DVD is available at the Historical Society, the Freedom Village Store and many local businesses for only $12. Take a step back in time to the way life used to be in the 19th Century by enjoying a day at historic Willowbrook Village in nearby Newfield, Maine. The Freedom Historical Society is pleased to make available a Willowbrook day pass good for 2 adults and 2 students. There is one family pass available for each day beginning May 29 thru October 11. Please stop by the Freedom Public Library to reserve your day and pick up your pass. You can pre-plan your trip by visiting the Willowbrook Village website. Watch for the opening of the Allard House & Works Museum on the Saturday of Memorial Day weekend! Come visit us soon. Also, be sure to check out the Calendar page to see the exciting program we’ve created for the current season. Click here to view news postings from prior years.